Create a perfume brand from scratch with a strong concept and the right tone of voice to back up your concept. Scars are not meant to be hidden. Scars are a source of uniqueness and sublime imperfection. Inspired by a Japanese philosophy centered on the acceptance of imperfection, comes the concept of Scars. 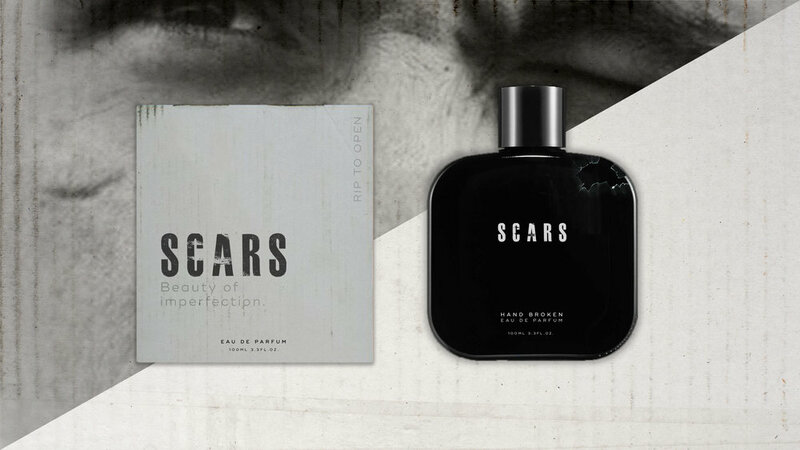 A fragrance that leaves a mark in our skin as a reminder of the role of scars in our visual identity. 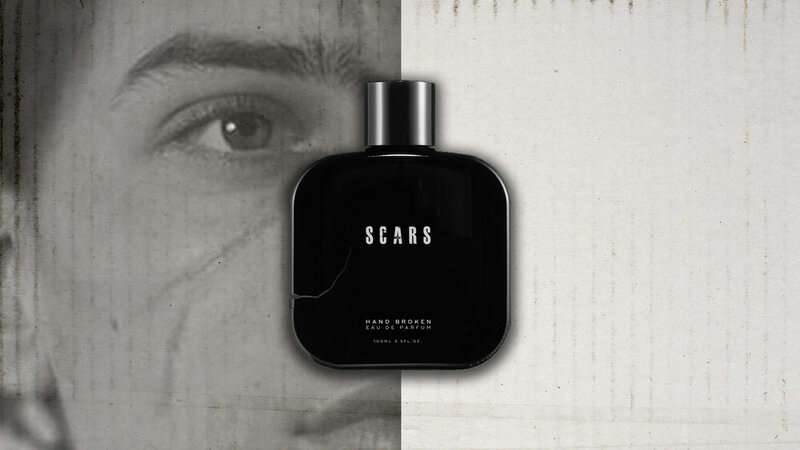 Scars is an ode to the trace of life in our skin and how those traces make who we are. Each perfume is hand broken giving our fragrance a more unique sense.